Sparrows are small birds with a global distribution. The Old World Sparrows (family Passeridae) - of which there are about 140 species - are native to the old world tropics and Australasia. American Sparrows - or New World sparrows - are closely related to the Old World Sparrows, although some physical differences as far as the seed-eaters bills and head markings exist. 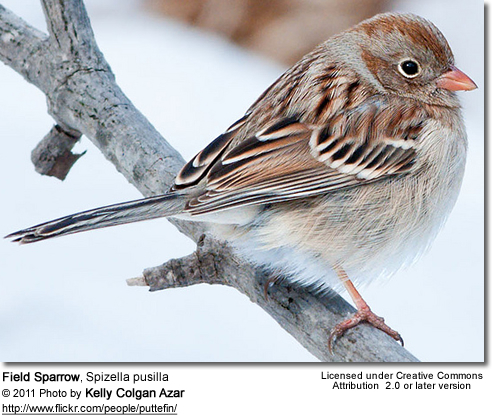 The Old World true sparrows are found in Europe, Africa and Asia. In Australia and the Americas, early settlers imported some species which quickly naturalized, particularly in urban and degraded areas. The common House Sparrows - found throughout North America - are actually not at sparrows at all. They belong to the weaver finch family. They are non-natives (introduced species) and are known for their aggressiveness towards other birds. American Tree Sparrows - Found in Alaska and northern Canada. Chipping Sparrows - Breed in eastern North America, Chipping Sparrows typically nest in woodlands, agricultural lands, as well as suburban and urban areas. In western North America, they prefer conifer forests for breeding. Migrate south to winter in southern United States and Mexico for the winter. Fox Sparrows - The largest sparrows. Breed in wooded areas across northern Canada and the west coast of North America from Alaska to California. They migrate south on the west coast and to the eastern United States. Song Sparrows have a wide range in Canada and the United States. In the southern (temperate) regions, they are permanent residents. Those breeding in the northern range will migrate south to southern United States or Mexico for the winter. They are very rare vagrants to Western Europe, with a few recorded in Great Britain and Norway. White-throated Sparrows - Breed in central Canada and New England; and migrate to southern USA for the winter. They are rare vagrants to Western Europe. 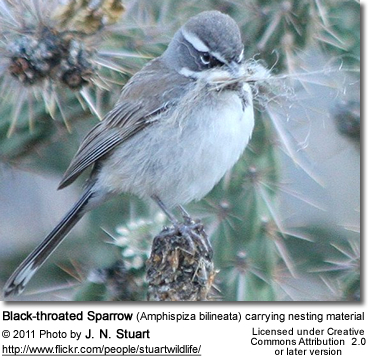 White-crowned Sparrows - Breed across northern Canada and the western United States. Northern birds migrate to the southern United States. They will return each winter to the same area. In some parts of the west, they are resident (non-migratory). White-crowned Sparrows are very rare vagrants to Western Europe. 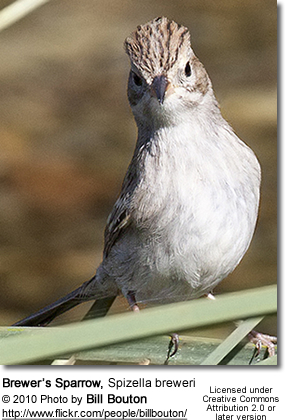 Golden-crowned Sparrows - Breed across the north part of western Canada and Alaska. They migrate south to spend the winter in Vancouver Island in Canada and the West Coast of the United States. They are in California for about eight months. They will readily seek visit bird feeders. They particularly like a blend of millet and sunflower seeds. They may breed in nest boxes that are placed near shrubbery or near human dwellings. 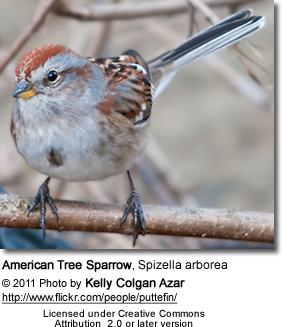 Note: The non-native House Sparrows are known for breaking eggs and killing the chicks of other garden birds. Should they take over a nest that is not meant for them, it's best to remove the nest box until they are gone. Sparrows are small and gregarious seed-eaters with short, thick, but pointed bills. The different species tend to vary greatly in their plumage, and some are quite colorful. 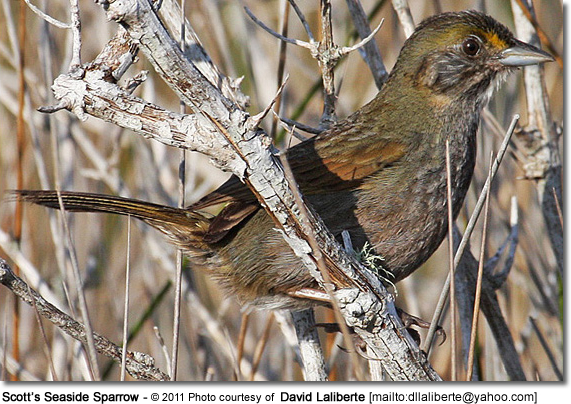 In general, they tend to have a mostly brownish or greyish plumage with short tails and stubby beaks. 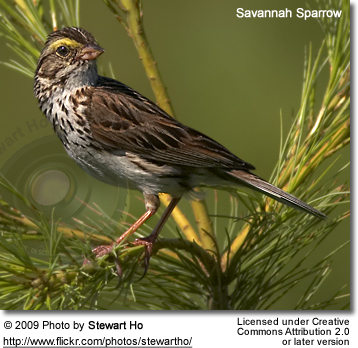 Sparrows nest either on the ground under shrubs or low in trees. They may also accept nest boxes.